The Deferred Action for Childhood Arrivals program was suspended by Trump. President Donald Trump ordered the program rolled back in September 2017, with Attorney General Jeff Sessions saying, "We cannot admit everyone who would like to come here. It's just that simple." 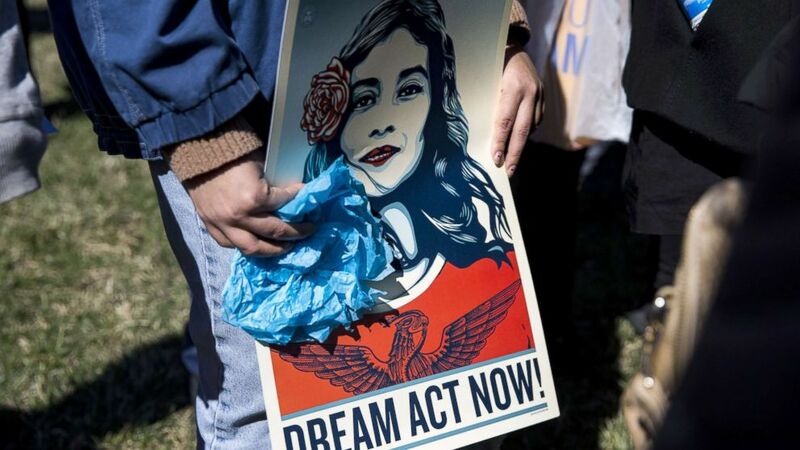 The court had issued a ruling in April saying that the decision to rescind DACA was unlawful and set aside the case for 90 days to give the administration a chance to "remedy the decision’s inadequacies." But the memo from Secretary of Homeland Security Kirstjen Nielsen seeking to clear up the government's position did not pass the muster for Judge John D. Bates on Friday and he ordered the April ruling upheld. 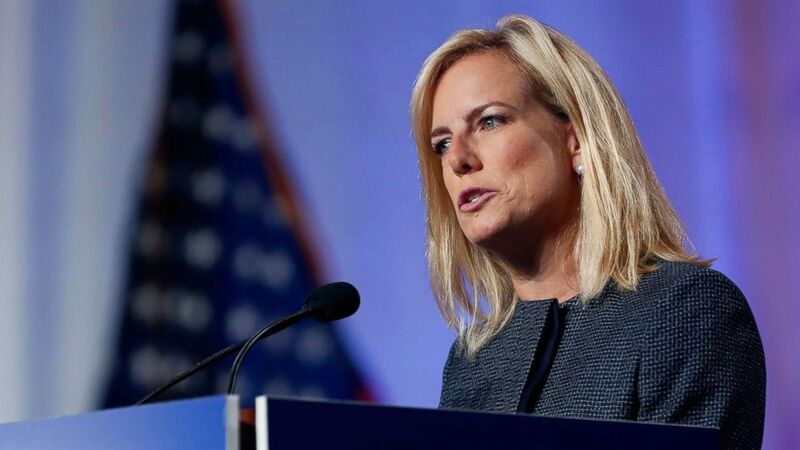 (Gerald Herbert/AP) Secretary of Homeland Security Kirstjen Nielsen speaks at the National Sheriffs' Association convention in New Orleans, June 18, 2018. "Although the Nielsen Memo purports to offer further explanation for DHS’s decision to rescind DACA, it fails to elaborate meaningfully on the agency’s primary rationale for its decision: the judgment that the policy was unlawful and unconstitutional," Bates wrote in his decision. "And while the memo offers several additional 'policy' grounds for DACA’s rescission, most of these simply repackage legal arguments previously made, and hence are 'insufficiently independent from the agency’s evaluation of DACA's legality' to preclude judicial review or to support the agency's decision." The Department of Justice made it clear it would appeal the ruling in a statement issued Friday evening. "Today’s order doesn’t change the Department of Justice’s position on the facts: DACA was implemented unilaterally after Congress declined to extend benefits to this same group of illegal aliens. As such, it was an unlawful circumvention of Congress, and was susceptible to the same legal challenges that effectively ended DAPA [Deferred Action for Parents of Americans]," the Justice Department said in a statement. "The Department of Homeland Security therefore acted within its lawful authority in deciding to wind down DACA in an orderly manner. Promoting and enforcing the rule of law is vital to protecting a nation, its borders, and its citizens. The Justice Department will continue to vigorously defend this position, and looks forward to vindicating its position in further litigation." (Samuel Corum/Anadolu Agency via Getty Images, FILE) Demonstrators protest the end of the Deferred Action for Childhood Arrivals (DACA), outside of the Capitol in Washington, D.C., March 5, 2018. The White House has not commented on Friday's ruling. Sen. Kamala Harris, D-Calif., was among those reacting to the ruling on Friday evening. Harris tweeted her agreement with the decision, referring to the Trump administration's DACA decision as "pulling the rug out from under Dreamers." A federal judge just ruled that the Trump Administration must fully restore DACA. Trump pulling the rug out from under Dreamers was not only immoral, it was illegal. Last September, the Justice Department recommended to the Department of Homeland Security and the White House that the DHS should begin "an orderly lawful wind down, including the cancellation of the memo that authorized this program," according to Sessions. "This administration's decision to terminate DACA was not taken lightly. The Department of Justice has carefully evaluated the program's constitutionality and determined it conflicts with our existing immigration laws," Elaine Duke, the acting homeland security secretary at the time, said in a press release.